A winter storm that is currently creeping eastward across the United States has already canceled hundreds of flights. About 100 million people are under a winter storm watch, advisory, or warning, according to the National Weather Service. “The storm is expected to become quite intense on Sunday as its center passes near or just south of New York City. Conditions over interior New England could approach blizzard criteria as the storm brings very strong northerly winds together with heavy snow,” the NWS said. Meanwhile, this storm should bring some rain, sleet, and ice to go with the snowfall. But on Friday, the major metropolitan areas on the East Coast will see light snow. However, overall accumulations in places like New York City and Boston should be low before the more significant storm hits on Saturday. CNN reported that as of Friday, 450 flights had been canceled across the United States. The Weather Channel has dubbed the storm “Winter Storm Harper,” but other weather news outlets have not adopted the name, and neither has the NWS. “While the heaviest total snow accumulation from the storm will fall north of the Interstate 95 cities from Washington, to Baltimore, Philadelphia, New York City and Boston, enough wintry precipitation can occur in the heart of the cities or just northwest to cause slippery conditions and major travel disruptions,” it continued. The storm should bring 2 to 8 inches of snow from South Dakota to northern Ohio, with up to 10 inches in northern Iowa, according to National Weather Service maps. 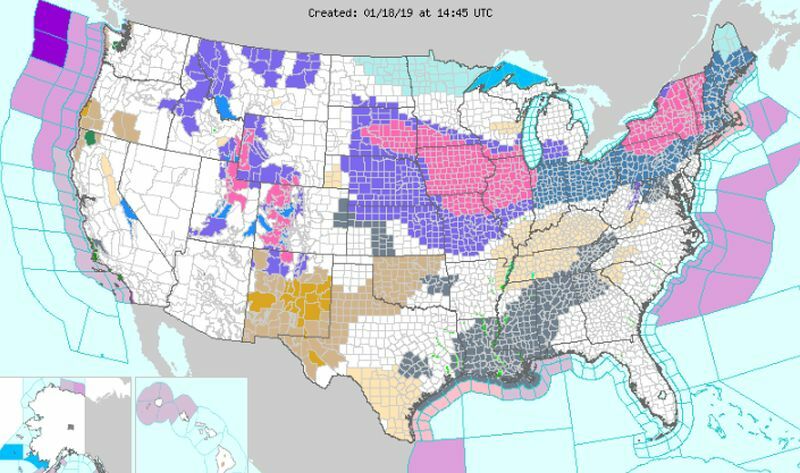 The agency posted winter storm warnings Thursday afternoon in South Dakota and Iowa and winter storm watches all the way to New England, where accumulations could top 12 inches, Reuters reported. The storm should bring 2 to 8 inches of snow from South Dakota to northern Ohio, with up to 10 inches in northern Iowa, according to National Weather Service maps. 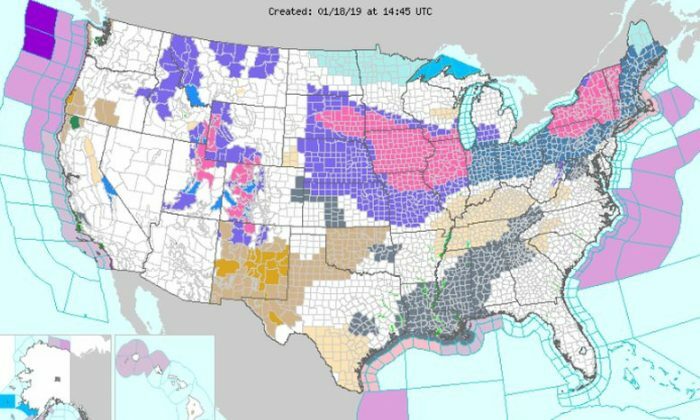 The agency posted winter storm warnings on the afternoon of Jan. 17, in South Dakota and Iowa and winter storm watches all the way to New England, where accumulations could top 12 inches. Temperatures on Sunday were expected to dip to 1 degree F in Des Moines, Iowa, around 8 F in Chicago, and minus 4 F in Lansing, Michigan. Winter wheat is most resistant to cold in January and generally should be able to withstand sub-zero temperatures for a few hours.